Questa sera niente video del venerdì. La foto è la mia interpretazione del Callenge. Siamo all’ultimo piano dell’ Eureka Skydeck 88 di Melbourne e i due ragazzi ammirano il tramonto sulla città. No video this Friday evening. This photo is my interpretation of challenge. 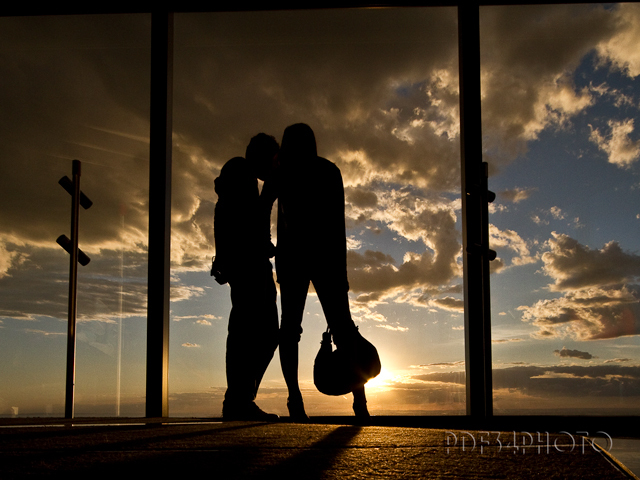 We are on the top of Eureka Skydeck 88 in Melbourne and the couple is watching the sunset over the city. This entry was posted in Australia, Foto, Fotografia, Photo, Photography, TRavel and tagged Australia, Challenge, Eureka Skydeck 88, Fleeting Moment, Foto, Fotografia, Melbourne, Photo, Photography, postaday, skydeck, Travel, Viaggi. Bookmark the permalink. Tks Claudia! You are right…I took a lot of photos that day…there were amazing skies all around during the sunset! Tks SK! The building’s polarized windows helped me with the sky colors! Very nice photo. Lovely colors, lightning & silhouettes.